Top quality roasted artichoke heart in herbed extra virgin olive oil. An excellent antipasto choice. 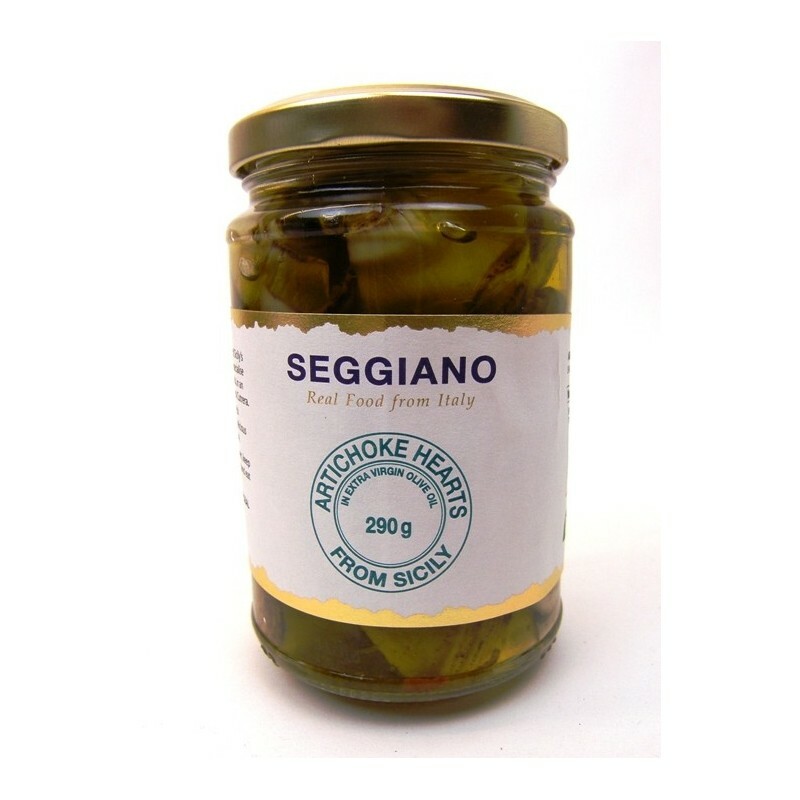 Ingredients: Artichoke hearts (artichokes, garlic, chilli,mint, vinegar, salt) 65%, sicilian extra virgin olive oil 35%. From Sicily these small spring artichoke hearts are early picked, trimmed down to the heart and lightly cooked to preserve their consistency and flavour.They are then preserved in finest quality olive oil from Frantoi Cutrera. 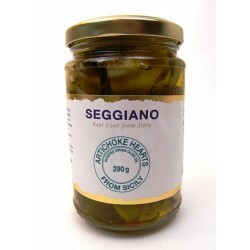 Very tasty as an antipasto on toasted bread, they also add a delicious, creamy edge to risottos or an omelette. The oil is delicious on its own and can be used afterwards to flavour dishes.